What’s So Different about Trust-based Selling? What’s the purpose of selling? Sounds pretty straightforward, right? Try Googling It – you’ll get “the purpose of selling is to gain revenue,” or “the purpose of sales is to create a customer.” But there’s a problem with viewing sales that way. If you think the purpose of selling is to add to your firm’s topline (or your own bottom line), then you’re thinking in you-terms – not in client-terms. No matter how much you sugar-coat it with language about “serving client needs” and “addressing fundamental client problems” there’s no getting around your overriding purpose – to move money from their bank account to yours. Clients feel this. They can sense your discomfort with selling, and feel it in your high-flying verbiage. They know in their bones that if your primary objective is to get the sale, then you are not on the side of the angels – you are on the side of the used car salesmen. Harsh language? Not if you realize there’s an alternative – and there is. The alternative is to view your fundamental purpose, objective and goal as being to help – your – client. Regardless of whether they buy your canned solution. And to view the sale as being a byproduct – an offshoot – the collateral good fortune that comes your way by doing a fabulous job of helping your client. Both these concerns are unfounded. Let’s address them head on. First, about being realistic. Ask yourself: would you rather buy from someone who genuinely has your best interests at heart, or from someone who’s trying to extract money from you – and isn’t even comfortable saying so? The vast majority of buyers prefer such sellers – (and the cynical exceptions are easy enough to spot, so you can pass them on to your competitors). Second, about efficiency – do we really have time to give away in just being generous? Don’t we have to focus on selling? Again, ask yourself: how would you behave if you ran across a person and firm you could really, genuinely trust? Wouldn’t you stick with them? Wouldn’t you spend less time on lawyers? Wouldn’t you be more open and forthcoming about issues? Wouldn’t you feel more comfortable collaborating with them? Of course you would. 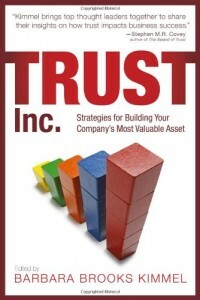 And that’s why trust-based selling produces higher repeat business, lower sales costs, greater insights, less scope creep, and higher levels of cooperation. In Scenario A, you focus on getting the sale: you win 50% of the time, and your average sale is $100K. Net expected value of a given sale, $50K. Scenario B represents an 80% revenue improvement over Scenario A – before even counting lower sales costs! That’s exactly what happens in Trust-based Selling. Buyers have a strong, predictable preference for buying from people who have their best interests at heart – and not from people whose main objective it is to sell them. It’s a real paradox, isn’t it? By being willing to detach from the outcome, we actually increase the odds of that outcome. The “trick” is – you simply have to believe it. 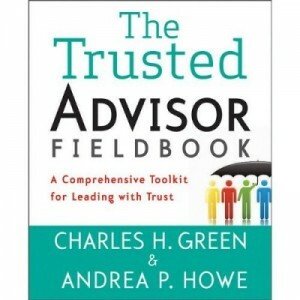 https://trustedadvisor.com/public/iStock_000013999282_Small.jpg 848 566 Charles H. Green http://trustedadvisor.com/public/trusted_advisor1.png Charles H. Green2015-09-21 06:00:512015-09-18 11:24:00What’s So Different about Trust-based Selling?